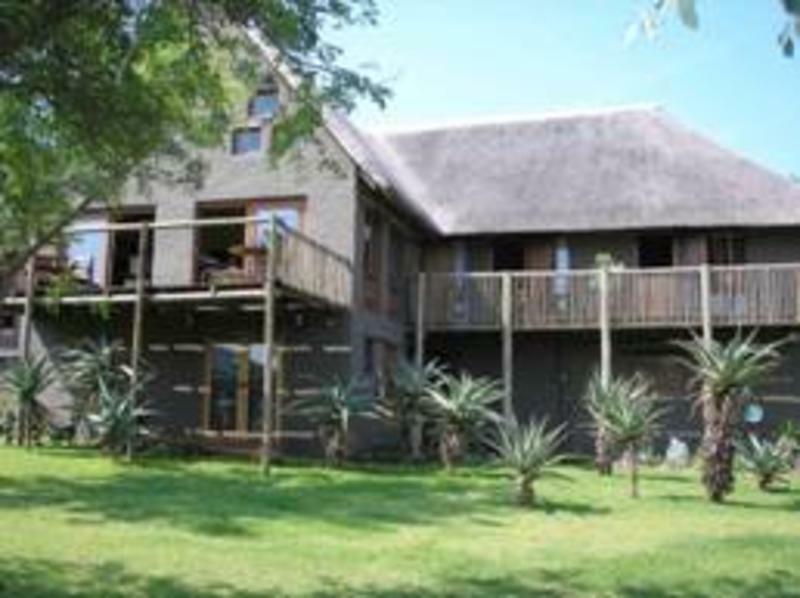 We are a lodge for backpackers, offering up market accommodation at backpacker prices. 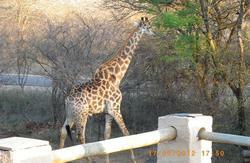 Situated on the banks of the Crocodile River, with spectacular views of Kruger National Park, South Africa. Come and stay with us and enjoy a relaxed environment, with open plan living areas and a great garden. At your leisure cool down in the swimming pool. Wrap up your day with a delicious barbecue braai, while listening to the sounds of Africa. 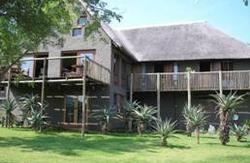 There is a friendly, open atmosphere at the lodge, where helpful staff will cater to your every need. Our knowledgeable staff happily give up-to-date travel information and can arrange a variety of activities, trips and tours for your enjoyment. Take the N12 highway east, towards Witbank. Join the N4 highway east via Nelspruit. Continue along the N4 to Komatipoort (Rissik Street). Turn left into Komatipoort. First right after the Spar Center into Bok Street. Left into Bosbok Street. Follow until No.61 Bosbok Street on the right side (corner property). Take the N4 highway east. Continue along the N4 to Komatipoort. Turn left into Komatipoort (Rissik Street). First right after the Spar Center into Bok Street. Left into Bosbok Street. Follow until No.61 Bosbok Street on the right side (corner property). Exit Kruger via Crocodile Bridge Gate. Follow the road into Komatipoort (Rissik Street). Turn left into Bok Street. Left into Bosbok Street. Follow until No.61 Bosbok Street on the right side (corner property). Take the R570 north. Join the N4 highway east (toward Komatipoort/Maputo). Continue along the N4 to Komatipoort. Turn left into Komatipoort (Rissik Street). First right after the Spar Center into Bok Street. Left into Bosbok Street. Follow until No.61 Bosbok Street on the right side (corner property). Take the R571 north. Turn left at the T-junction onto the N4 highway west. Continue along the N4 to Komatipoort. Turn right into Komatipoort (Rissik Street). First right after the Spar Center into Bok Street. Left into Bosbok Street. Follow until No.61 Bosbok Street on the right side (corner property). Continue along the N4 to Komatipoort. Turn right into Komatipoort (Rissik Street). First right after the Spar Center into Bok Street. Left into Bosbok Street. Follow until No.61 Bosbok Street on the right side (corner property). Inter Cape, Translux, Greyhound, City to City from Pretoria and Johannesburg daily and Pantera Azul from Johannesburg daily. All mainline busses leave from Maputo, Mozambique, daily. Call for free pick-up from the drop off points (Lebombo Border Post or Sasol Petrol Station opposite Komatipoort turn off on the N4 highway) around Komatipoort.